A subsonic 9mm round for those who want to shoot suppressed, or want a reliable round in a lower recoil, lower sound round. 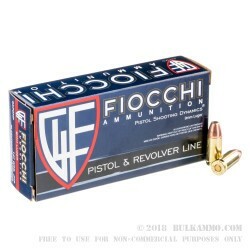 Fiocchi 9mm 147 grain load is proven reliable and is priced at the very low end of the pricing spectrum to keep you comfortably shooting all year. A subsonic round coming out of the barrel at 975 fps, making it comfortably in the subsonic zone, and yet, still offering 310 ft. lbs. of energy at exit. 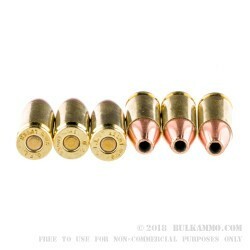 This is important because this is a jacketed hollow point round that is suitable for self defense. The large grain weight gives good impact and the expectation that is will be used in a defensive scenario at extremely close ranges, means the ballistic integrity will remain high in the use case. A note: Sometimes, subsonic ammunition can be too slow or underpowered to cycle tough springs in certain firearms, especially those with very heavy bolts or long travels. 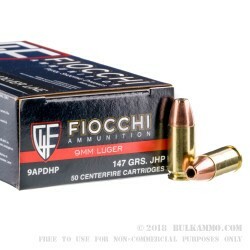 Generally this is not the case for this ammunition: the powder mix is potent and still offers good reliability. 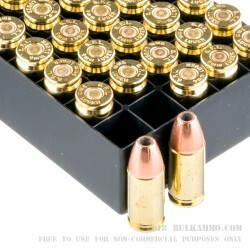 This is a 1000 round case of ammunition for your defensive and range needs, that offers the perks of lower recoil, subsonic speed, boxer primed new brass to allow for reloading, and an incredible price point.